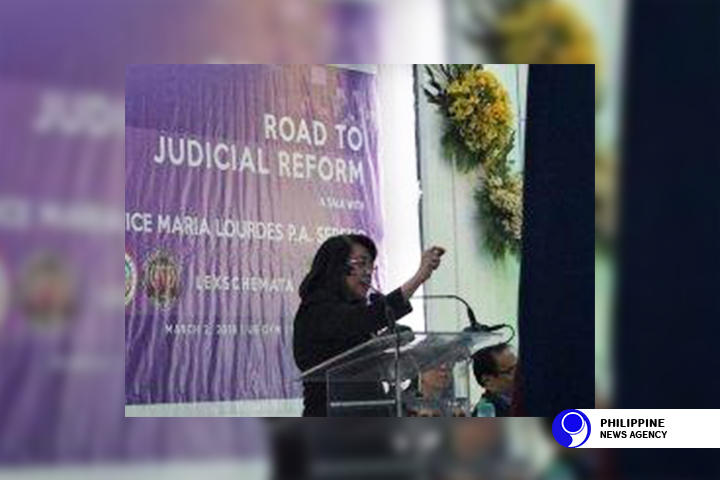 Former Chief Justice Maria Lourdes Sereno said volunteer organizations have organized a coalition to join her in fighting for the right of the Judiciary to be independent. Sereno told supporters she will “focus on fighting for democracy” after she was ousted as top magistrate by the Supreme Court. On Friday, May 11, the SC voted 8-6 to grant the quo warranto petition that sought to void Sereno’s 2012 appointment as chief justice. A quo warranto is a legal proceeding that challenges a person’s right to hold an office or a governmental privilege. The quo warranto petition was filed by Solicitor General Jose Calida. Sereno, an arch critic of the administration, claims that the case was instigated by President Rodrigo Duterte. The high court has given Sereno 15 days to file a motion for reconsideration. Under the Rules of Court, Sereno may still file a motion for reconsideration within 15 days, especially since she would need only a concurring vote to switch sides and reverse the decision. In a report in state-owned Philippine News Agency (PNA), Sereno said she told her supporters she is not thinking whether or not her motion will reverse the decision, but promised to “do what is right”. “It’s not up to my optimism or pessimism. Just do what is right. Just fight,” she said. Sereno said she could not say the exact contents of her appeal yet, as she had not received her copy of the court’s decision as of this writing. “Ang mga bagay na iyan ay hindi ko pa pinag-iisapan. 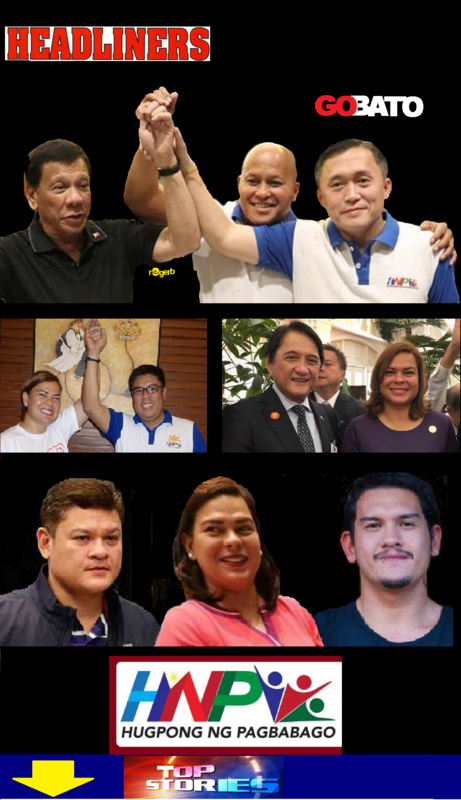 Ang importante ay ipunin lahat ng pwersa or lakas ng bayan na maaring makatulong para maadvance ang democracy natin. (I am not thinking about those things. What is important is that we gather our forces that can help in advancing our democracy. ),” Sereno said in an interview after the Supreme Court voted to unseat her. The SC in voting to grant the quo warranto petition tsaid Sereno 0failed to submit her Statements of Assets, Liabilities and Net Worth (SALN) before the Judicial and Bar Council (JBC), which set the requirement for applicants. The JBC is the one tasked to screen applicants seeking positions within the judiciary, including the seat of chief justice. Upon issuing the decision on Friday, the high court declared the position of the Chief Justice vacant and that the Judicial and Bar Council should begin the application and nomination process for Sereno’s replacement. “The decision is immediately executory without the need of further action from the Court,” the decision said. The justices who voted to remove Sereno were Associate Justices Noel Tijam, Teresita De Castro, Lucas Bersamin, Francis Jardeleza, Samuel Martires, Diosdado Peralta, Andres Reyes, Jr. and Alexander Gesmundo. In the 153-page decision made public on Friday evening and penned by Tijam, the SC pointed out that “the language of Section 2, Article XI of the Constitution does not foreclose a quo warranto action against impeachable officers”. “We hold, therefore, that by its tenor, Section 2, Article XI of the Constitution allows the institution of a quo warranto action against an impeachable officer. After all, a quo warranto petition is predicated on grounds distinct from those of impeachment. The former questions the validity of a public officer’s appointment while the latter indicts him for the so-called impeachable offenses without questioning his title to the office he holds,” the SC decision said. Under the allegations against Sereno, she failed to file before the JBC in 2012 her SALNs that she was supposed to have filed when she was still a law professor at the University of the Philippines (UP) from 1985 to 2006. “Her inclusion in the shortlist of candidates for the position of Chief Justice does not negate, nor supply her with the requisite proof of integrity. She should have been disqualified at the outset,” the magistrate stressed. Although the JBC eventually decided to do away with the submission of the SALNs in 2012, following requests made by Sereno over alleged difficulty in securing them, Tijam stressed that the Constitution provides that the JBC was created “under the supervision of the Supreme Court”. “Thus, in interpreting the power of the Court vis-a-vis the power of the JBC, it is consistently held that the Court’s supervisory power consists of seeing to it that the JBC complies with its own rules and procedures,” Tijam said. The high court noted that even the rules of the Presidential Electoral Tribunal (PET) allows a petition for quo warranto to question the eligibility of the President and the Vice President, both impeachable officials. “…Fraud and irregularities in elections cannot be countenanced, and the will of the people as reflected in their votes must be determined and respected. The Court could not, therefore, have unwittingly curtailed its own judicial power by prohibiting quo warranto proceedings against impeachable officers,” the high court said. The PET decides election protests involving the election of the President or the Vice President of the Philippines. It is composed of the justices of the Supreme Court. It is currently conducting a manual recount and revision of ballots for the protest filed by former Senator Ferdinand “Bongbong” Marcos. Unlike in the quo warranto provision under Rule 66 of the Rules of Court, which states that the Solicitor General can initiate the petition, under PET rules (A.M. No. 10-4-29-SC), specifically Rule 16, a verified petition for quo warranto may be filed by “any registered voter who has voted in the election concerned. But the same rule set a deadline for filing of within 10 days after the proclamation of the winner”. “To subscribe to the view that appointments or election of impeachable officers are outside judicial review is to cleanse their appointments or election of any possible defect pertaining to the Constitutionally-prescribed qualifications, which cannot otherwise be raised in an impeachment proceeding,” the high court added. Those who dissented were Senior Associate Antonio Carpio, who served as the acting chief justice for over two months while Sereno was on indefinite leave of office; and Associate Justices Marvic Leonen, Mariano Del Castillo, Estela Bernabe, and Alfredo Benjamin Caguioa. Carpio agreed with the defense of Sereno that the SC has no jurisdiction over the case because only the Congress can oust a sitting magistrate through the impeachment process as provided under the 1987 Constitution. But Carpio said Sereno “is liable for culpable violations of the Constitution and betrayal of public trust”. The senior magistrate said such finding could only be “endorsed to the Senate for the impeachment trial”. “If a court finds that an impeachable officer has committed an impeachable act, the court should refer the matter to Congress, for Congress to exercise its exclusive mandate to remove from office impeachable officers,” Carpio said in his 25-page dissenting opinion. “No court, not even this Court, can assume the exclusive mandate of Congress to remove impeachable officers from office,” he stressed. With Sereno’s ouster, Carpio will again serve as acting chief justice just as he did in 2012 after the ouster of the late chief justice Renato Corona after an impeachment trial at the Senate. He said, “A better reading of the Constitution requires us to read words and phrases in the context of the entire legal document,” noting that the general grant of jurisdiction for quo warranto actions under Article VIII Section 5 (1) of the 1987 Constitution should be read in the context of the provisions of Article XI Sections 2 and 3, as well as the principles of judicial independence and integrity inherent in several sections of the Bill of Rights. Article VIII Section 5 (1) provides that the high court ”exercises original jurisdiction over cases affecting ambassadors, other public ministers, and consuls and over petitions for certiorari, prohibition, quo warranto, and habeas corpus”. On the other hand, Article XI Sections 2 and 3, which he said should be read in the context of the first-mentioned provision, enumerates the officials that can only be removed by impeachment, the specific grounds, and who has jurisdiction to initiate all cases of impeachment. “This petition should have been dismissed outright and not given due course. It does not deserve space in judicial deliberation within our constitutional democratic space,” Leonen said. Another dissenter, Associate Justice Velasco, agreed with Carpio’s opinion that the Solicitor General’s quo warranto petition against Sereno should be dismissed by the Court, but based on another ground. He disagreed with Carpio and believed that Sereno could be covered by quo warranto despite her being an impeachable official. But in his separate dissenting opinion, Velasco stressed that the SC ruling on Calida’s petition was premature, as it still needs a trial in court. Meanwhile, the Palace called on the public to respect the decision, as the Supreme Court is a co-equal branch of the government. “The SC is the final arbiter of the law. The high court has spoken. Let us respect its decision granting the quo warranto petition as the proper remedy and the quo warranto petition ruling against Chief Justice Ma. Lourdes Sereno,” Presidential Spokesperson Harry Roque said in a press statement. Roque said the SC, as a co-equal branch of government, is duty-bound to uphold the Constitution. “The court ruling is likewise an assertion of the supremacy of the fundamental law of the land,” Roque said. Presidential Chief Legal Counsel Salvador Panelo said the public “must bow to the majesty of the law” and not allow themselves to be controlled by their emotions and biases. “The Constitution has given the duty of interpreting the law to the highest court of the land and we must abide by it regardless of our disagreement with its ruling. That is how democracy works,” Panelo said. The Court held that Sereno’s appointment as the 24th chief justice — the first female appointed to such post — was null and void. The 57-year-old Sereno is the first Chief Justice to be removed through a quo warranto petition and should have stayed for 12 more years or until 2030 if the quo warranto petition had been rejected. Appointed in 2012 by former President Benigno Aquino III, Sereno replaced the late former Chief Justice Renato Corona, who was ousted through impeachment in December 2011. Sereno earlier insisted that the SC has no jurisdiction to hear and resolve the quo warranto petition, saying she can only be removed through impeachment proceedings with the Senate sitting as the impeachment court. Sereno is also facing an impeachment complaint filed by lawyer Larry Gadon on four grounds — corruption, culpable violation of the Constitution, betrayal of public trust, and other high crimes. The complaint contains 27 acts of alleged offenses by the Chief Justice. Sereno was charged in an impeachment complaint at the House of Representatives because of her failure to indicate her entire PHP30-million fee in the arbitration proceedings against the Philippine International Air Terminals Co., Inc. (Piatco) as government counsel in her Statement of Assets, Liabilities, and Net Worth (SALN).